WEDNESDAY, Aug. 2, 2017 (HealthDay News) -- Concussions have been in the news a lot because of health problems experienced by football players, but you don't have to be a professional athlete to suffer this injury. Youngsters are at risk, even if they don't play contact sports. A concussion is a mild traumatic brain injury -- or mTBI -- caused by a blow or jolt to the head or body that causes the brain to shake, according to the Children's Hospital of Philadelphia. Since it doesn't take a visible head-on collision to get a concussion, it's important to know the signs of injury. Symptoms include headache, nausea, dizziness, balance and vision issues, sensitivity to light or sound, sleep troubles, difficulty thinking, and even emotional issues. Crying for no reason can be a sign as well. Symptoms including a seizure, weakness in the limbs, slurred speech and confusion necessitate a call to 911. Symptoms can take hours or days to appear. If there's any chance that your child experienced a concussion on the playing field, he or she should not return to the game. Unlike a broken bone, a concussion won't show up on an X-ray or other test. It's diagnosed with a careful exam. 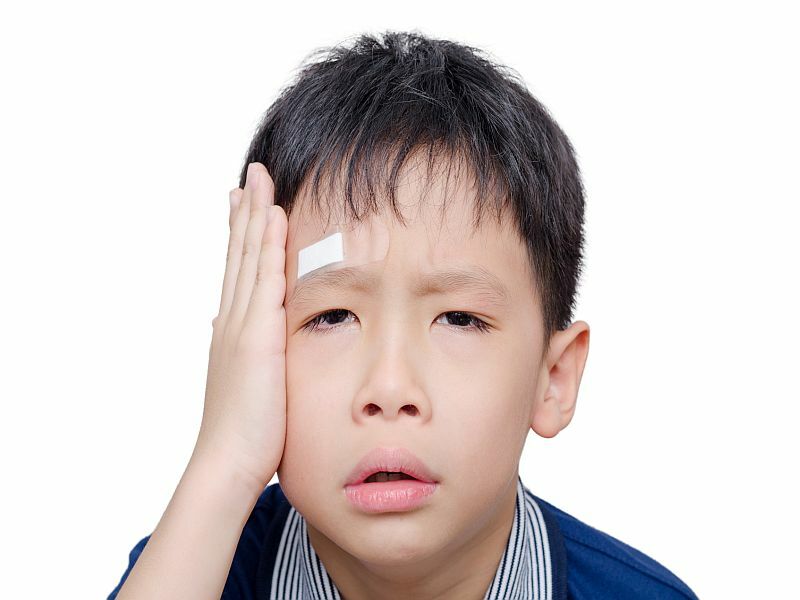 If you have any reason to suspect that your child has a concussion, contact your pediatrician right away. If your child is diagnosed with a concussion, it's imperative that he or she follow a set protocol for recovery under medical supervision before returning to their sport. This is essential to prevent another concussion before the first one has been fully treated.